Exclusive: Sgt. 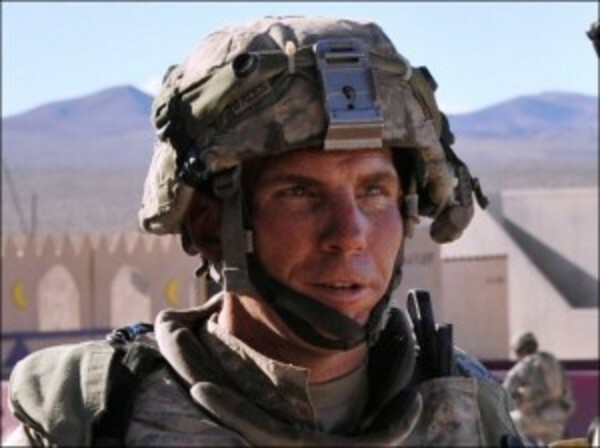 Robert Bales stands accused of murdering 17 Afghan civilians, a crime that some trace to the financial pressures his family faced back home. However, to the rich financial swindlers, the ruining of Bales’s family – and many others – is just another day’s work, writes Mark Ames. By Mark Ames: This past Thursday, a Modesto, California, man whose house was in foreclosure shot and killed the Sheriff’s deputy and the locksmith who came to evict him from his condominium unit. Modesto authorities responded by sending 100 police and SWAT snipers to counter-attack, and it ended Waco-style, with the fourplex structure burning to the ground with the shooter inside. It’s not surprising that this should happen in Modesto: Last year the Central California city’s foreclosure rate was the third worst in the country, with one in every 19 properties filing for foreclosure. The entire region is ravaged by unemployment, budget cuts, and blight — the only handouts that Modesto is seeing are the surplus military equipmentstocks being dumped into the Modesto police department’s growing arsenal. These “death by foreclosure” killings have been going on, quietly, around the country ever since the housing swindle first unraveled. Like the story of the 64-year-old Phoenix man whose daughter and grandson were preparing to move in with him after losing their home to foreclosure — only to get a knock on his door surprising him with an eviction notice on the house he’d owned for over 30 years. Bank of America foreclosed on him despite his attempts to work out a fair plan. Whatever the case, whether alone or with others, most people familiar with the case agree that for some reason, Sgt. Bales “snapped.” Invariably they’re over-psychologizing why he “snapped” — the military has blamed it on everything from his supposedly troubled marriage, to strain or stress, to an alleged alcohol bender. The last time Sgt. Bales deployed — to Iraq in August 2009 — Bank of America foreclosed on the family’s rental property, a duplex that his wife had bought in 1999 that was also underwater. Within months of BofA taking their duplex, Sgt. Bales’s Humvee hit an IED and flipped over, causing brain and head injuries. On a previous deployment to Iraq, Sgt. Bales had one of his feet partially blown off by a bomb. “We ended up filing ch. 7 and we are now renting and have ZERO (if not worse) credit. Today (Sept. 27, 2011) an auditor came to my door and gave me some info and verified other info regarding B-of-A filing a PMI [private mortgage insurance] claim. Sorry so long winded…. “One of the docs he showed me was of my stated income which was double … DOUBLE my income at the time. I NEVER would put myself into such a situation and lied. I honestly believe the number was changed and it was burried [sic] in an inch of docs I had to sign and I just didn’t see it. These sorts of stories can be found everywhere, and they repeat themselves over and over. And what’s most galling of all is that these plundering crooks preyed on those most vulnerable — military families suffering from the chaos of war, minorities, low-income people — to generate their fast riches, backed with government guarantees. That’s how the class war “winners” rub it in on the rest of us — especially their victims. How can you function after reading such self-serving drivel, particularly if you’re one of the victims? As for the “losers” in this class war: Sgt. Roger Bales’s wife and children are ruined. They have no home; they only own debts to the tune of hundreds of thousands of dollars, debts owed for life to the Hayes Barnards of this country. The “winner” — the swindler — is a community hero. As for Sgt. Bales – whom the Army accuses of “snapping” for no good reason, accusing him of being a drunk, or of mental weakness, incapable of handling his marriage or the stress of combat – he might even be put to death. He now sits in Fort Leavenworth military prison, charged with the murder of 17 Afghan civilians.